We have a 1990 Avondale Perle caravan. We are new to caravanning and have little knowledge of how they work! We have recently just plugged the main hookup to test the electrics and it seems like only the electric sockets are working, none of the fitted lights are working. Also the foot pump for the water was working last year but there is no activity at all now. I should imagine that the lights and pump are operated via your 12v system. You should have a switch on your control panel to operate the 12v sytem and this will need to be switched on for it to work. Have A New Caravan Question? Do you have a caravan question you need answered which has you stumped? Share it here and see if someone can help! My little ancient Abi Monza 3.5/2 DeLuxe has been great however I just started getting it ready for the summer season and the front running light is out, as is the rear and the light over the number plate. I have eliminated the car from being the issue and was wondering if anyone had any ideas. I have a blown bulb in an interior 12V reading lamp in my Ace Award Northstar caravan and cannot find a way of replacing the bulb. How do i get the old one out? Any help greatly appreciated. My water pump on my Elddis Xplore is clicking on and off I have tried it on another van and it works ok so the fault must be on van. I have a Swift Corniche 15/2 caravan . How do I do this please. Hello, I have had no problems at all for the first 12 months of owning my 1996 lunar clubman but recently the power has twice cut off by tripping fuses in the hook-up point. I have tried to eliminate any possibilities and for some reason the problem can go away overnight only to occur again. An engineer was called and sods law the power came on again when connected back up. Can anyone offer any advice or has anyone experienced any similar problem? Thanks in advance. Why does my battery go flat whilst connected to mains power, is there a switch that I've forgot to change over ? Where can I find the 20amp fuse in a lunar lexon caravan 2010, we had a power cut, now my lights, fridge, blow central heating isn't working I've been told it could be this fuse but I can't find it? I have a 1976 Windrush caravan, which I am renovating. It's going to be my new business, a pop up vintage Tearoom. It will be running off a generator, so I had the electrics rewired. They don't seem to be working properly, so before I get the electrician back, I wanted to understand what the problem might be. The wiring is 110?, what ever that is, and the power seems to be ok on the first socket, but non existent on the other side of the caravan. My generator is 6000, so it should be able to support the electrics, so I think it might be the choice of wire. What wire should the electrician be using to re wire the caravan, and should he have run one on each side of the caravan instead of just one going all of the way round?. Just taken ownership of this van, plugged in mains electric nothing, tried a friends caravan lead still nothing. How can i power a static caravan off the mains? Can i use fork lift truck batteries and a generator to keep the batteries charged or is there an better way thanks. I have a Fleetwood Colchester, just plug it in to the electric and the alarm isnt working any ideas what might be wrong? Caravan lights not working on left side when towing? Electric Hook Up to a caravan. The first thing you must do is to make sure that the site supply box that you are going to use is in good condition and looks safe. Make sure that the switch on your contol unit inside the caravan is switched off. Next you must unwind your cable fully. If it is too long don't worry as the excess cable can be left under your caravan in loose coils. Never have your cable wound tightly together when in use as this can cause the cable to get hot and melt. The first end you must couple is the one to your caravan. This is the female end (it has recessed tubes). The input socket is normally located in your battery compartment. 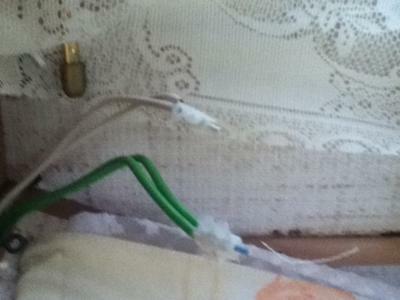 Once this has been inserted, couple the other end to the site supply socket. You can then switch on the supply at the consumer unit inside your caravan. It is advisable that you now test the trip switch to make sure it is working. Then all you have to do is reset the trip switch and away you go. Can you help. I put my fire on and turned on the blown air system when i got smoke coming from the vents and a strong smell of smoke at the fusebox. Could this be because I left the hook up cable on the reel my water heater had triped out as well please help im affraid to take it out again. You should never leave your electric cable wound on your reel when hooked up. This is because it will cause the cable to get extremely hot. Wether or not this caused the problem is hard to say. What you need to do is to take your caravan to your local dealer and ask them to have a look at it for you. At the same time you should have it serviced, if you have had one recently. We always have our caravan serviced at the beginning of each season. That way we know everything is in working order and that it is road worthy. I have been a static caravan owner now since 2007. In my first caravan I had for 3 years, I had no problems with my electric at all, and never replaced any of the equipment through fuses going/blowing out. However, in this new caravan since 2010, on a different plot, just this year alone since April, I've had to replace 2 kettles, a toaster and 2 hairdryers, one of which was a little travel one.The sales manager is blaming it on the cheap Tesco and Argos makes (which I've used in the previous caravan). He says its down to my guests using too much at any one time. I understand that the caravan is limited to using 16Amps, but no matter how he explains it to me, I still don't understand why this should have changed this year and he's not being very helpful to rectify this problem.Any thoughts appreciated. This is a really timely article. Thanks for posting this. Just a couple of quick points, the electrical installation and cabling of caravans has a set of electrical rules and regulations to apply to. There are specific requirements in BS 7671:2008 Requirements for Electrical Installations relating to caravan parks, motorhomes and touring caravans. Along side this specific wiring regulations apply. Like any electrical works it is always recommended to enrol the services of a professional, at best it may cost a couple of hundred pounds out of your budget, at worst you could suffer electrocution or fire. Electrical installations outdoors are very different to electrics within the home. Utilizing an RCD is essential when using electricity outdoors, that should have stopped the supply of energy when the conductors shorted through overheating. A coiled cable with current running through it works as an electromagnet, heat and magnetism are generated, this is why any extension lead should be unravelled when used. (Most cable reels will have a coiled and uncoiled rating in amps). Wonder if anyone can help? Our 12v supply is not working despite the battery being fully charged. All the fuses are ok but we cannot seem to locate an inline fuse between the battery and fuseboard - is there one? I have a 2003 Coachman Amara 530/4 and when i put on the electric heater on the 2000 setting it will run fine for about an hours or so then trips out. I have also made sure there is nothing else on the van when this setting is selected and it still trips after a period of time ? If you select the 1000 or 500 setting you have no problems at all. Oh and i have already replaced the RCD breaker in case it was faulty. Please can you advise on how you go about switching from battery power to mains power on a Coachman Amara caravan? Any help would be much appreciated. Before connecting any leads, you must make sure that the caravan's main control unit is switch off. Next uncoil your cable and insert the female end into the socket on your caravan (usually located in your battery compartment). Then couple the other end into the site supply box. Now all you have to do is to switch back on the main control unit in your caravan. At this point it might be worth testing the trip button to confirm that the residual current device is working by switch off instantly. Reset the safety switch and you should be ready to go. I live in France. I have just bought an 1994 Rapido 2 berth caravan. The owner bought it in England and bought it over to france in 2006. It still has some UK type sockets. . I notice that the caravan has two main plug connectors for the car. I only have one socket on my car. (This was fitted for a trailer by my garage here in France). It seems that I only have indicators working on the caravan but no lights at all. No current is going into the caravan because nothing electrical works inside the caravan. Could this be because english caravans have 2 plugs and french only one? The other thing is that I cannot get mains power to the caravan. I have plugged the long lead into the mains power (220 volt) plugged the lead into the socket in the battery compartment. Turned on the power at the box under the seat in the front but nothing at all. Checked fuses and all OK. There is no leisure battery at the moment but the owner assured me that it works on hook up to the mains independent of the battery. I have just acquired a 1990 ABI Globetrotter caravan and the plug sockets don't seem to work but the lights and water pump do. Please could you help in any way !!! The fuse may have blown. Locate the fuse box and check to see if the socket fuse has blown and change if necessary. Hi I have just purchased a rapido 31t caravan and where the electrical box is there a switch marked 240v and on where when do I position this ie connected to battery and electric hook up ? Suddenly, although mains power is still there (the sockets all work), there is no power to the pump/lights/aux switches and the meter registers nothing. All the fuses are OK so I'm stumped as to what may be the problem. All was working well yesterday!! It sounds to me that you have a completely dead battery. It is obiviously not holding a charge and might need replacing. However, before going out and buying one, see if you could borrow one just to test out if this is the problem. I appreciate this will be of no use to you due to length of time elapsed, by now you will most likley have sorted the problem. For anyone having similar sudden unexplained failure, check the Master Switch has not been turned off by accident instead of the awning light as they are often next to each other. Not that its happened to me of course. It sounds like you have lost your 12volt supply. First check your fuses or trips and is your caravan switch in the right position. It is well worth getting a small multimeter for problems like this. With it you can check across the battery terminals for voltage only. With the mains connected to the van it should be around 13.5volts if not you have a charging problem it may not be a duff battery,they are expensive so check the simple things first. there is normally a fuse separate from the main fuse board on the 12volt circuit, this would also explain your problem. We have bought an Elddis Wisp 400/4 (1991?) van. We are new to touring and are a bit confused over the electrics. When plugged into the mains only two small wall lights, the fridge and the wall sockets work. The water pump, roof lights and outdoor lights don't. Do they work off a separate system ie battery. There is a panel on the wall that has switches marked car battery and caravan battery - when we switched it to caravan it did not work. There were also switches for pump, lights and auxilliary - we tried them in both positions but no joy. The lights on the panel (green and red) did not light up either. There is a battery in the caravan but it could be that this is flat. While we can charge this, how does it maintain its charge - is it charged when the caravan is plugged into the mains? Is it the case that there are two different systemts ie one lot of stuff will work off the mains and the other off the battery? Sorry to sound stupid!!! There are 2 different circuits on most caravans, 230v and 12v. The 12v will operate most of your lights and pump, while the 230v will operate your sockets and certain main lights. Try charging your battery and then try the 12v system again. If the battery is old, I would consider buying a new leisure battery. The battery itself should charge itself (via the on board charger in your caravan) when your are hooked up to electric. Hi Pam. First and foremost make sure you have a good leisure battery connected then put the put caravan switch on the panel to caravan battery - your interior lights should now work as they are 12 volt. When you are ready hook up to the site mains and everything should now work. Hope this helps - Glyn Eldis owner. On my caravan the plug sockets have just suddenly stopped working. I have checked if it's tripped out but they are all ok. I don't know why this has happened bcause it was working fine in the morning. The most likely cause to the problem is a faulty fuse. Check the fuses in your box and replace if necessary. We have had exact same issue happen today as stated above plug sockets working in morn then cut out not to work again. Fuses all ok..trip box not tripped out..box outside fine tried diff electric lead still same..nothing..took all front covers off each plug and nothing wrong with any of them either. We're actually on site too and are using gas..boiling a kettle on hob and gas toaster for toast hearing running on gas tonight too. Can't think of anymore to do only to wait till tomorrow Monday when I can ring an engineer to ask him. Any advice or suggestions would be gratefully appreciated thank you sincerely Maureen I wrote this on behalf of my husband Evan in case you think I'm a wizard knowing to do all this myself I didn't so im not. We recently left our caravan in storage for 3 weeks and when we came back to it the leisure battery had discharged completely, but also the alarm and metis tracker system had ceased to work. Our dealer says that this is because the leisure battery had discharged and the tracker system only works for a day and a half after it becomes discharged (apparently after speaking to Metis - I have e-mailed them separately).Has anyone else had this worrying problem or a solution? In storage you should really if possible keep your caravan hooked up to the electric supply so that your battery will not be discharged and therefore the Tracker will keep working. We keep our caravan at home and always keep it plugged in and the Tracker on. Does anyone else keep their caravan in storage and, if so, do you plug into the electrics. If not, what happens to your caravan Tracker if you have one? Please let us know if you can help Wayne. Tracker unit failure following flat battery. I have had several Cobra tracking units fail as a result of a discharged caravan battery. I have now fitted a solar panel to top up the battery whilst it is in storage. 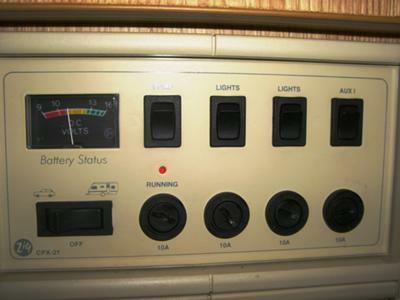 I have a 1997 ABI Award Tristar four berth and I don't know what the top left and left middle switches are for, as shown in the attached picture. Any ideas? Thanks. I may be wrong, but by the looks of them, one could be for your hot water heater and the other could be for your heating. However, if you are still unsure why not try contacting the ABI Owners Club and I am sure someone there will be able to help. Their website address is www.abiandfriends.org. Did you ever find out? the right ones are for heating and hot water, but I have just got one and I don't know what the top left and middle left ones are for either. Could you please give me any advice as the plug sockets on my Bailey caravan are not working. Many thanks for any help you could give me regarding this. The most likely problem is a blown fuse. Check the fuses on your caravan consumer unit and replace if required. If this does resolve the problem, I would seek advice from your local dealer. It would be advisable to book your caravan in with them and have it looked at by a qualified mechanic. I plugged in a fan heater, it worked for a few seconds and then stopped. I thought the fuse had blown in the main fuse and relaced it plus several others (just in case) but this has not resolved the problem and sockets do not work. Can anyone help? I have only one 7 pin socket on my car but my caravan has two. Can I plug the caravan 7 pin socket in while I am parked and change it over to the 7 pin lights socket while driving? The answer is a definite NO. The socket on your car is should have a black cover and should only be hooked up to the black plug on your caravan. This is a 12N socket and operates the road lights on your caravan. To use the grey plug on your caravan, you must have the supplementary GREY 12S socket wired to your car. The 12S socket operates the refridgerator, auxilliary battery charging and reversing light. I have a Compass caravan, and a Mercedes e300 diesel car. The towing gear on the car has one socket for the black lead off the van. When connected the road lights and the indicators work but the brake lights don't. Firstly, I would check the connection on both the male and female parts on your socket, check the wiring inside the socket to make sure that nothing is loose. I think the brakes are wired to pin 6 and then give it a clean. Try using so water repllent lubricant (Tri-Flow), then see if that makes a difference. You could also check the bulbs on the caravan to make sure that they don't need replacing. We are new to caravans, and have never used towing gear etc. I have an Abbey GT 212, which I bought 2nd hand in Oct 2005. It has had a water heater plus a fridge, gas, 12v/240volt added, both of which I do have the wiring and installation notes for. What I do need though is the original caravan's specs and details, especially its wiring and plumbing details, so as to trace faults within it. Try contacting the Abbey Owners Club. I am sure someone there will be able to point you in the right direction. Their contact details can be found on our website under 'Caravan Owners Club'. Currently I have a water leak in the vicinity of the fridge and am also trying to reinstate the 240 mains voltage supply. The previous owner removed his charger and wiring, including cutting the mains supply cable at some location not yet discovered, so as to make it "Safe". I have just brought a second hand caravan but I cannot get the electrics to work on 12 volt. The battery is full and the switch for the battery is on but the volt meter reads empty ???? and all the fuses are good. Although your fuse are all good, I think you will find that there is a 15A in line fuse between your caravan battery and distribution panel that might be faulty. Try locating that and then change it to see if that works. The best advice would be either have a qualified electrician to have a look at it or ask your local caravan dealer to take a look. The reason why caravan RCDs dont trip out sometimes is because they are not properly earthed - or don't any earth at all. You can check this by taking a peak in the fuse box and seeing if there is a substantial earth actually going out. I have a 1999 bailey pagent which whenever I attach to my car it blows a fuse on the car and my lights on the right side of both car and caravan don't (Indicators are fine just the lights)work. They did previously work fine but haven't been right since I had a blowout on the righthand side of my van. Just a thought - I had this problem and it took ages to find that a number plate bulb holder had fallen apart. Hi there, I am hoping you can help as I am baffled to what is wrong with my caravan electrics. I have an Abi Manhattan 490/5 2001 model, which we took away last weekend. Before setting off I plugged the fridge in to our household electric supply to cool it down. When we arrived at the site I hooked up to the electrics but it did not work. I tried using a different hook up point that somebody else was using and also a different cable, but still no joy. We did have some power from the 12v battery but not the mains. I have since checked all the fuses and these seem fine. I tried the test button on the RDC but this did nothing - probably because power is not getting there in the first place. Do you think it could be a faulty RDC or MCB? If so how can I be sure that is the problem? Any advice on this would be much appreciated. Many thanks, John. The only way of being certain is to have it looked at by the experts. I would book your caravan in at your local dealer and ask them to sort it out. As with all gas or electrical problems, it is always best to have it looked at by the experts. Purchased an ACE NOVELLA (SWIFT manufacture) from new in 2004. Loads of problems caused by poor/cracked wiring- short circuits causing engine fire, lights failing, flat batteries, non-functioning electrics, engine cut-outs etc. etc. Is it me or has anyone else had similar probs with SWIFT? On reading through all the answers it seems to me a fuse has blown and that is why my plug sockets aren't working, but how do i change the fuse. Sorry, I am extremely new to this!!!!!!!!! Firstly you need to locate your fuse box. On the fuse box it should tell you the location of the fuse for your sockets. Simply remove the fuse and change it like for like. I have a static ABI Weekender on a site with no mains electricity. All the electrics work fine off a gennie or battery via an inverter. Howevere there is humming/buzzing noise emanating from both lights and ring main circuits. The fuses are not tripping out. Any ideas what the problem might be? I have tried different gennies and inverters but the problem is the same. Thanks. Having never had this problem, I am going to need some help. Has anyone out there had a similar problem and would able to shed any light on this. If so, please advise and will will forward your comments. Could be the water pump - did you put water in the bottle or it might be dry. I had same noise and forgot to hook up water supply! Where is the Fuse Box for a Hobby 650 2006 UMFE Caravan? A fuse has gone in our caravan and we have tried in vain to find the fuse box. Does anyone know where it might be???? Any help would be much appreciated! Does anyone own a caravan similar to Caroline's and might be able to help? If so, please contact us and we will pass on the information. Comments for Where is the Fuse Box for a Hobby 650 2006 UMFE Caravan? Hi there we have a hobby uk collection 2007 and this last weekend when we went up to stay (as it is sited), no hot water it was working two weeks earlier ?? Please help. Hi - just bought a hobby 460 and found my fuse/transformer in wardrobe. Hope this helps. Hi, just new to caravaning have bought a 1992 abi monza 400d mark2. Can anyone tell me if my caravan has mains electric and if so how to link it up? On the side of your caravan, there should be a socket where you insert your mains hook up cable. I think it is on the none door side just below the front side window. To hook up, simple plug in your cable (none cap end) into the socket on the caravan and the the other end into the site power box. Next make sure that the control panel is switched to 240v. Hi, Silly question I know but im going away for the weekend in a caravan for the first time and I'm wondering how I can use my hair straighteners? My partner says the electrics are only 12v and the straighteners take 240. Not a silly question at all. My wife and daughter always take their straighteners and hair dryer with them whenever we go (not forgetting the kitchen sink). Providing that you have an electric hook up and you don't have everything plugged in and going at the same time there should not be a problem and don't forget to turn them off! Hi, I had the same problems - your straighteners won't work from 12v unless your on hook up but don't try to boil your kettle or lighting at the same time or you will trip the fuse! ( I have many times :-/ ). I can recommend the Braun gas powered ones - I take them to all my festivals where 240 hook up is not an option. Also I know camping and general are currently selling 12v hair straighteners for around about 10-11.00 - not sure how good they will be though ! Another way is if you don,t use electrics is to either get an inverter and connect it to the battery or get someone to treat you, because Braun do gas straightners and they are brilliant! I have just purchassed a Fleetwood Colchester 1989 (as I am unable to fund a newer van) and I am having trouble with the interior electrics (water and lighting). I will be able to sort it but it would be easier if I had a wiring diagramme,does anyone have one?. Your best bet would be to contact the Fleetwood Owners Club to see if someone there can assist you. Their website address is www.fleetwood-owners-club.co.uk. Power in Caravan and Awning. Hi, I am new to caravaning and would like to know if there is a way of having power in my caravan and the awning at the same time with out having to have the window or door open to run an extension lead, do they do a double headed hookup so I can attach one to the van another end into the awning. As I have kids I would like to keep the door and window closed at night to keep the noise out so they can sleep well. The only way of doing this is to have an external power point fitted to your caravan. I would suggest that you take your caravan to your local dealer and ask them to fit one for you. It is a relatively simple job, but showed be done by a professional. However, always agree a price with dealer before they carry out the work. Comments for Power in Caravan and Awning. I spoke to the guy in next caravan who has the splitter in use and although he can't remember where he got his he says he's seen them on Machine Mart website so just google Machine mart and should find them, someone else who has one here got there's from a company that erects marquees so another place to try, both people said they are really useful as saves having to have everything routed thru the caravan fuse box, you would need to make sure you had the supply to the awning fused on it's own tho for reasons of safety. There is a splitter you can get, I am on a site at present and the van next to me has a lead that plugs into the electric post that then has 2 sockets, normal round plug type, he then has 2 electric hook up leads running from these to his van, I would ask him what he does it for but it's a seasonal pitch and he is not currently on site, but it's not something he has lashed together but is a proper splitter lead so you must be able to buy it somewhere, I will take a picture and when I am home next week I can post it on here, the thing to remember tho is it would be easy to go over the amps allowed from your hook up with this in place, not a problem on this site as we get a very generous 16 amps. Hi Guys. Do you happen to have a 12 volt wiring diagram for this caravan model? It's around 1995 year. I want to set up the 12 volt supply from a car to the auxillary battery. Cheers. Your best bet would be to contact the ABI Owners Club direct. I am sure someone there will be able to supply you with the information you need. Their contact details are detailed below. I have only one socket working on the caravan. What can I do to get the other sockets working. Also I cannot get the caravan lights working they just flicker. I am new to caravaning. My caravan is a touring caravan. It is a Marauder caravan. Have I got it on the wrong voltage. Because of the age of the caravan, I would suggest that you book your caravan in for a service at your local dealer. Explain to them the problems that you have and they should be able to fix them at the same time. I have an ABI caravan and would like a copy of the 240v circuit so that if I get a problem I will be able to find the fault and repair it. Many thanks for your help. Your best bet would be to contact the ABI owners club direct. Their website address is www.abiandfriends.org. Hi, we have an ABI Airstream 97 we have used it with a gennie and everything works ok, also we had electric hook up until this morning when I pluged in a hoover and now nothing works on it! i have checked the trip switches and every thing is ok and fuses look ok. The lead from the barn is a 25 meter normal extension then the caravan cable plugs in the extention which goes in the van...its been working ok untill I pluged the hoover in!....help please as I am soo in the dog house with hubby!! When you say you have checked the trip switches, is that just on the caravan? Check the fuse box for your mains electric for the barn. It is more than likely that one of the switches has tripped on that. Will using a range of electrical items cause my electrics to trip out? It will depend on how many Amps are available from the hook up point and also how full the site is. Try only running one appliance at a time. So, if someone wants to use the hairdrier, switch off other aplliances before using it. The same would go for the microwave etc. You can buy low wattage appliance specially made for caravaning/camping which will cut the loading down. Not quite a caravan question but very similar. We have a Romahome camper - the cabin electrics of which can be run off either a leisure battery or mains hookup. Internal lights and the water pump run off a 12V system which is working fine on either hookup or leisure battery alone. A plug socket and electric fridge run off the 230V system which works fine on hookup, but not off the leisure battery. The consumer unit has RCD fuses, all of which are on and I assume (if everything runs off hookup) OK. Any suggestions? I have just bought a ABI Marauder 450CT Gold, 1993 model. It has a circuit breaker fuse box with a 10A and 5A fuse. The 5A keeps tripping. It is the one that runs the lights and fridge. Does anyone have a diagram of the circuit layout for the van? Also does anyone know where I could get a manual? If you contact The ABI Owners Club, they should be able to point you in the right direction. Their website address is www.abiandfriends.org. I have recently purchased a smashing Lunar Jupiter SE caravan but when mains plugged in only one small interior light works. All the sockets and fridge work there is no battery connected. The majority of interior run off 12v. You will find that if you fit a leisure battery to your caravan, the rest of your interior lights should work. Just bought my first ever caravan and discovered that although the internal lights all seem to work, all the electrical sockets are dead. Any advice would be appreciated. The majority of caravans are wired so that the lights will work of the 12v system and that the sockets run off the 230v system. I think you will find that once you are hooked up to the electrical supply either at home (using a mains convertor lead) or on site, your sockets should work. can you tell me which is correct ? To be perfectly honest, I am not really certain. To be on the safe side, I would suggest that you ask your local dealer to fit it for you. By doing it this way, if there are any problems with it, they will be liable and not you. Have just been talking to the Zig people about my dead Zig X3 which has to be replaced with a Zig x70. The technical advisor told me that T1 is to the battery live terminal. T2 goes to the positive 12s on a caravan or in my case with a camper, to the alternator output on the split charger relay. As for T3 and T4 he said they were effectively common. In my case one to earth and one to the negative terminal on the battery. He did say that if it worked before, stay with the terminal connection. Going by what is the standard electrical coding, BROWN is normally LIVE and BLUE is normally NEGATIVE. Unless anyone knows any different. In the Clubman Lunar 390 2 there are lighting connections and we are thinking of adding a Car stereo - would the 12V cable be able to cope with that and which wires are what? Yes, the red and yellow wires on your radio to positive and the black to negative. When fitting a radio in a car one of them would be switched via the ignition, the other a permanent live for keeping the radio's memory. In the caravan joining them both (red and yellow) together should be fine. If you are still uncertain, ask your loacal caravan dealer to fit one for you. I have a 2009 VIP Hobby caravan but the lighting, ariel and water pump are no longer working. I have been told it could be the dometic electric box. Could you tell me were I could get one from please. Thank you please get back asap. You could try contacting Hobby Caravans direct (www.hobbycaravansuk.co.uk) or you could try www.thecaravanspecialists.co.uk. They might have what you are looking for. The main electrical board in my caravan trips when the air conditioner switches on, even when no other appliances or lights are on. Does anyone know why this happens? You need to have this looked at by a qualified electrician. It sounds as if you have a loose wire in your air conditioning unit which is causing your electrics to trip. I have a 1996 Lunar Planet Jupiter caravan and last time I went away I was on electric hook up, there were problems and the electric kept going off. The site owner said it was due to overloading. Since then I can't charge my battery through my van and I cannot find any blown fuses. There isn't an in-line fuse from battery to zig. My van is fitted withe a Polarity power modular system pms 7, can anyone tell me if there is a fuse or any way to solve this problem? A 12v circuit must be fitted with an in-line fuse. The purpose of an in-line fuse is to protect the 12v system from overloading. It is normally located close to the leisure battery. It is likely to be inside the caravan. If you follow the live feed from your leisure battery into the caravan, you should find it. If you still can't find it, I would advise that you ask you local caravan dealer to have a look at your caravan. Hello. The electrics work perfectly whilst the mains 240v lead is connected but as soon as this is disconnected everything stops working. Until yesterday I could work the caravan lights etc by switching on the master switch on the control panel and the appropriate light switch. Today they won't work not even from the car connection. Model is Bailey Ranger 470/4 2008 model. Thank you for help. The 12v circuit is protected from overloading by an in-line fuse. The fuse is connected from the positive terminal from your battery. If you trace the positive lead to inside your caravan, you should find it. Try changing the fuse and see if that works. Hi there, it turned out that I am a complete idiot. The red wire was supposed to be connected to the inline fuse so problem solved. Hi there, I have just purchased a Sterling caravan and have the same issue and on further investigation I have found that the positive (red) cable from the battery is not connected to anything inside the van it comes inside from the battery box and about 300mm long and an open connection, any ideas anyone. I recently had a same problem on a Swift Corniche turned out it was a fuse on the charging unit try this it may save you a fortune. What is best to use to lubricate the socket which connects the cable to the caravan socket? Mine is very hard to dis-connect and I am worried that I will damage the connection by wiggling it all the time. I thought of vasilene but was not sure if this would be flammable or degrade the plastic sockets. It is important to keep these sockets damp and dirt free. It is best to use a water repellent lubricant. Something like Tri-Flow would be ideal. I have a Lunar Lexon 525. If I plug my van into mains not all the electrics work. I have no lights, no heater, water pump and no water heater. Also my 12v not working although I've fitted a new battery. It sounds to me that you have a problem with the 12v circuit. The problem could be that you need to change the in-line fuse. This is connected to the battery's positive terminal and is likely to be inside the caravan. If you locate the wire from the positive terminal inside your battery box and follow it into your caravan, you should find it. It will not be very far from the actual battery box. Once you have found it, replace the fuse to see if that cures your problem. If that does not work, I would suggest that you ask your local dealer to have a look at it. Hi, My socket fuse keeps tripping in my Elldis Avante. All other fuses seem fine but if i plug anything into the mains sockets, the trip switch goes in the cupboard. I have been advised that the trip switch may just need replacing, as it is 2005. What do you think? I always advise that anything to do with gas or electric, should be looked at by a qualified engineer and should NOT be done by DIY. I would take your caravan to your local dealer and ask them to look at it for you. If it is your trip switch, one of their qualified engineers will be able to replace it for you. Looks to me to be a neutral to earth fault ask a qualified electrician to check this out for you. Please can anyone help me - When I plug in my fan heater and turn it on, all my electrics in my caravan trip. Any help or advice would be greatly received. The most likely cause is that you have exceeded the limit on your hook up. You need to establish the amp supply at your hook up point. Some sites provide a paultry 5A supply while others can offer up to 16A. Once you have established the amp supply of your hook up point, multiply this by 230 to find the rate of consumption in Watts. You should then be able to tell if your fan heater is pushing out too much power causing the electircs to trip. I need to make a lead of about 50m so I can hook up what will I need. I know I will need 2 plugs, but what sort of wire do I need and where do I buy it from. The lead that you need has to be a heavy duty 3-core flexible PVC cable and comply with BS EN 60309-2. This cable should be available from any caravan dealership. However, The longest lead that you can purchase is 25m and it is adviseable that you don't use a longer lead than that nor should you link 2 cables together. I own a 1996 Lunar Planet Jupiter caravan and when I try to charge my battery it trips the switch on the zig unit. I have been told to check a 15 amp fuse between the battery and the zig unit, I have tried to find it, but cannot. Does anyone know where this could be located? The purpose of an in-line fuse is to protect the 12v system from overloading. It is normally located close to the leisure battery. It is likely to be inside the caravan. If you follow the live feed from your leisure battery into the caravan, you should find it. I have a 550 Europa caravan and cannot get a power supply from 12v. Please could you advise as to what might be the problem. Many thanks for your help. The most common fault is either the battery itself or the in-line fuse. The 12v circuit is protected from overloading by an in-line fuse which is connected to the feed via the battery's positive terminal. The fuse itself is normally connected close to the leisure battery. Try changing the fuse to see if that works, if not make sure that your battery has a full charge. Can anyone help, Baileys series5 Indiana. Mains attached all interior 13 amp sockets working in caravan. Appropriate master, lights and pump switches set on the on position, no C/B tripped all fuses on panel appeared intact and been changed over. Zero battery volt indication when tested, fridge off, no electric water heater or water pump, no fan, no power to C/D player, all interior lights including awning and front gas bottle light off, ignition for gas fridge, gas water heater and cooker defective. I had the same problem and was at a loss untill I inspected the wiring loom iunderneath the van, I found a damaged cable partially eaten through by something !! this in turn caused a short circuit on the caravan fridge pcb board. This was resolved by repairing the eaten cable and purchase of a new fridge control module. I have a 2004 abbey spectrum that ive just opened up (left on a site over the winter). Rear roof lights, cooker igniters, hot air heating and toilet flush is not working but all other electrics are ok. I've swapped the fuses so they seem ok and all electric sockets and other lights are fine. Any ideas as to what could be wrong? Thanks. There should be an in-line fuse from your battery's positive terminal. If you trace that from your battery compartment to inside your caravan you should find it. Once found, change the fuse and see if that works. Bailey Pegasus - why is 20 amp 12V fuse fitted in battery to charger +ve lead behind the gas fire. It is impossible to replace it without taking gas fire out! The 12V lead is already fused at the charger output. Good question and to be honest I don't know the answer. You could always phone or visit your local Bailey dealer and ask them to clarify. There is one Bailey dealer that I know of in the Nottingham area. Getting no power to any electric lights but there is power to sockets using mains electrical hook up. Fuses all seem fine, is there a relay anywhere? I am no electrician!! Caravan is 1993 Pageant 2 berth. You might need to change the in-line fuse which protects your 12v circuit from overloading. The fuse itself is connected to the feed coming from the battry's positive terminal. If you trace this feed to inside your caravan, you should find the in-line fuse. This is the same problem I am having - did you find out what the problem was ? I have tried to switch on the trip switch for the heater and fridge and it keeps tripping out all the time. Does anyone know what could be the problem? It could be anything from a loose connection, dodgey fuse or the switch itself could be over sensitive. I would advise that you take your caravan to your local dealer and ask them to have a look at it. Anything to do with electrics or gas should be dealt with buy qualified engineers. Try contacting a caravan breakers yard. Most offer a mail order service, so everything can be done by phone. A list of breakers can be found on our website. Failing that, you could always try an Abbey dealer. They might be able to get hold of one for you. Hello I am new to caravaning and wish to understand how the electrics work. On the back of the car there are 2 sockets one black and one grey. I know the black one runs motoring lights but what is the other one for? I am hoping that when connected it will charge the leisure battery, is that right? Basically, the black socket (12N)runs all your lights i.e. indicators, brake lights, fog lights and side lights. The grey socket (12S)runs your reversing lights and allows you to run your refrigerator. It also charges your battery. Yes, there should be an in-line fuse. The 12v circuit must be protected from overloading by an in-line fuse. This is connected to the positive terminal on the caravan battery. It is normal located close to the battery itself but not in the battery compartment. If you trace the positive lead to inside your caravan, you should find it. I have a Caravalair Hermitage and have put a new 110aph battery on but the 12 volt system won't work why? I am new to the caravanning world. Have you checked the control panel to make sure the switch is in the correct position? Also there should be an in-line fuse from your battery's positive terminal. If you trace that from your battery compartment to inside your caravan you should find it. Once found, change the fuse and see if that works. Just bought a 1995 Elddis and yesterday the 240v supply worked fine. However, returning to the van several hours later, none of the 240v systems worked. Changing leads to one with a 3 pin socket proved the site supply was OK. The leisure battery was fairly flat and the meter went into the red once a strip light was switched on. Do I need a charged up battery before the electric hook up will work? Appreciate any guidance.. I pressume that when you say that you changed your lead to one with a 3 pin socket, you tested your electrics at home using power from your house. When you were on site, did you check the electric point you were hooked up, had not tripped out? If that was not the case and judging by the fact that your electrics worked with the lead with the 3 pin socket, I would think that your original lead is faulty. Check both plugs to make sure that there are no loose connections. Bailey Pageant Magenta CD 1993 - where is the fuse box? Does anyone know where the 12 volt fuse box is situated in a Bailey (as title)? We have looked everywhere! The local dealer told us that after a Bailey is 10 years old they keep no service and technical records! Does anyone own a Bailey Pageant Magenta CD 1993 and could help locate the fuse box? If so please let us know and we will pass the information on. Hi, I have a new car with 13pin socket and an old caravan ( 1994 Corniche ) with 12n and 12s plugs. Have purchased 13 pin plug adapter to connect my existing 12s and 12n leads into. So far fine, but the caravan is wired with a blue lead for battery charging on 12S pin 2, for which there is no allocation on the 13 pin plug. I have learnt that ISO standards do not include this circuit, so does anyone know how I can overcome this problem ? Could I for example connect this blue lead into the same pin as is used for the caravan power supply ie pin9. This is a really good question, but sadly one I do not know the answer to. Your best bet would be to contact a tow bar fitter to see if the could give you some advice. Please let me know how you get on. My Avondale Rialto 640 6 is not working with battery . Only works when plug in on mains. Battery is new and with a lot of charge. It could be your in-line fuse. The 12v circuit is protected from overload by an in-line fuse. This is connected to the feed from the battery's positive terminal. If you trace that, you should find it. It will not be too far away from the battery itself. Once you have found it, try changing it to see if that works. I blew a fuse in my caravan and replaced it. The lights came back on, but wall sockets don't work. replaced all fuses to no avail. Is there a hidden fuse somewhere? It could be the in-line fuse from your leisure battery. The purpose of an in-line fuse is to protect the 12v system from overloading. It is normally located close to the leisure battery. It is likely to be inside the caravan. If you follow the live feed from your leisure battery into the caravan, you should find it. Failing that, I would advise that you ask your local caravan dealer to have a look at it. Hey there everyone, I'm having a problem with my Sterling Elite Trekker caravan. Today I went into the caravan just to check everything was in order and for some reason the 12v power wasn't working at all... so of course I checked the battery and all of the fuses and everything was in order,,, so I proceeded to then plug in the 240 mains and everything was working perfectly.. so I unplugged the mains to try again and still nothing was working so I'm at abit of a loss to what's happened here as I've checked all the cables and everything and I just cannot find out what is wrong. All switches and everything are correctly positioned so any help would be awesome. I know this may sound stupid, but have you checked that all the switches are in the correct position on your control panel and that all the fuses are okay? Hi , I can see it is some 6 months ago that you had this problem so assume that it is now resolved. As a matter of interest what was the answer ? Purchased a used two birth Adria it came with no electric diagram or information now I have an intermittent fault on the 12v system checked all usual things fuses etc., awning light and radio works but nothing else fuses in control unit ok. Also no idea of how to operate the heating system are there any manuals/operating instructions out there that I can purchase. Where do I find the vanity light switch in my bathroom over the sink in my Abbey Vogue 417 GTS 2002 model caravan. I have just bought it and can't find it anywhere! Going to have to put this out to a wider audience because I am not sure. So if anyone owns one of these caravans and knows the answer, please let us know and we will post the information on our website. I have an Abbey GTS Vogue 417 but it is a later model (2006). Inside the bathroom door on the left we have a pull-chord which activates the light over the sink. The main light and the shower light have separate switches on the fittings themselves. Do you know whether and where I can get a replacement 12 volt charger for the faulty one in my Lunar Solaris caravan ? Many thanks for your help with this. You should have no problem obtaining a new one. Either try your local caravan dealer or you could try a caravan breakers yard for a second hand one. There is a list of breakers on our website. Yes the charger is a seperate unit within the pda unit and was replaced as part of my annual hab check and now as good as new. Of interest - my refrigerater packed in also and that also was fixed with a new heater element. Happy days!! Did you manage to change your charger on your Lunar Solaris as I think my charger has stopped working? I have an Elddis Avante 534 and I am looking for an internal socket face with the12v on/off switch and awning light. Your local caravan dealer should be able to supply you with everything you need or you could try a company like Towsure (www.towsure.com). If I was you, I would have this looked at by your local dealer. They should be able to sort it out for you. We always advise that anything to do with gas or electric should be done by a trained professional. Please could you tell me where is the mains connection point located on an Abbey Freestyle 400SE caravan. The mains hook up point on a caravan is normally located in the compartment for the battery. I have recently bought a Swift Corniche caravan and have a fused rocker switch under the sofa on the offside. It lights up when operated but I don't know what it does. Does anyone have any ideas? I would imagine from its position, it is most likely to be the isolation switch for your water heater. To test this out, make sure that the water heater is full and then switch it on and wait for the water to heat up. We have an ABI Marauder and as you enter the caravan, there are a number of switches on the right hand panel and we're not sure what they mean. One is a circule with 2 dots in the centre, another is a sun symbol. Below these is a picture of a caravan with a switch and then below that is a picture of a car also with a switch. We are totally new to caravanning so are unsure what it is we're meant to be doing with them! Many thanks. I think the circle with 2 dots is likely to be for the sockets in your caravan and the sun symbol is for your lights (likely to operate on your 12v system). 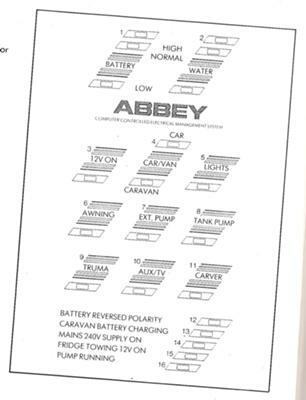 The caravan symbol is for your 12v system allowing you to operate it via your leisure battery and the car symbol will allow you to operate your fridge and charge your caravan battery whilst towing providing you have the 12S supplementary socket (grey) fitted to your tow car. I have a Lunar Delta 1998. I have owned the van for 3 years and all worked perfectly up until we went to use it. 240v works fine but no 12v lights pumps or heating is working . Does anyone know what to look for before we call anyone out. The 12v circuit is protected by an in-line fuse which comes off the feed from the positive terminal from the battery. If you trace the positive lead from the battery to inside you caravan, you should find the fuse holder close to the battery box compartment. Once you have found it, try changing the fuse and see if that works. Hi I wonder if anyone can help Ive recently bought an Abi Brightsar 2 berth caravan the 12 volt systems was working for a short while then suddenly cut out ,we have checked that the 12 volt supply gets to the power centre but no further as we are new to caravanning we are a bit stumped anyone got any suggestions please the 240 mains work fine. You might find that the in-line fuse has blown and needs replacing. All 12v circuits must be protected by an in-line fuse to avoid any overload. The in-line fuse is connected to the feed coming from the battery's positive terminal and is normally located inside the caravan close to where the battery is housed. If you trace the positve feed to inside the caravan you should find it. Once you have found it, change the fuse and hopefully everything should work. I have brought a Bailey Pageant Moselle 1997 model please can u tell me what fuses it takes. If you have the handbook, it should tell you in there, what fuses you need. Failing that, your best bet would be to visit your local caravan dealer. They will be able to tell you exactly what you need. 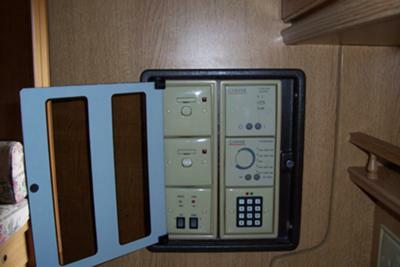 I have just bought a 1990 Abi Ace Diplomat and one thing puzzles me:- there is an awning light switch which works on the main switch panel but does not do anything. Cannot see any outside connections and fathom out what it does? To the left of the door near the awning rail on the outside of your caravan, there should be an awning light. The switch inside your caravan operates this light. If the light does not come on when you use the switch, it is most likely that you will need to change the bulb. I have the caravan as above and find the battery is not being charged on 12volt and 240volt. I have checked the fuse on the panel and that is OK. I have checked the terminals when on 240volt and cannot get a reading. Is there an inline fuse or relay that I am not finding? any help please. There should be an in-line fuse. The 12v circuit must be protected by an in-line fuse which should be connected to the feed from the battery's positive terminal and is noramally close to the battery itself but not inside the battery compartment. Try tracing the positive feed from your battery to inside your caravan and you should find it. We have a Hobby Prestige 560 UFE caravan and the electric transformer has stopped working. Does any body know where I can get it repaired. Many thanks. Try your local caravan dealer. They might be able to either repair or replace it for you. Failing that they might be able to point you in the right direction. help - can I hook up my Monza caravan to a 3 pin plug, so I can use the sockets, lights, etc at home, The lead has 7/7pin wires, But I'd like to know if it can be changed to a normal 3 pin plug so it could be pluged into a house socket ? Could anybody please tell me what the first two switches near the door are for on my caravan. It is a Bessacar which is a 2005 model caravan. Many thanks for your help. Does anyone own one of these caravans that could help with identifying the relevant switches? If so please let us know and we will pass the information on. hello i have this van just over 1 year, last season we were trouble free, this year on two occasions the mains hook up kept tripping. After numerous tests we decided to get someone to check it the following day. However, we thought we would give it another try before we rang the expert, and everything was fine, any suggestions please? These 2 switches are for the outside awning lights on my 2005 model. It's the next 2 inboard with the indicator lights which baffle me!! !